36" Round Indoor/Outdoor Chew Resistant Bed For the roughest of dogs, the BRINKMANN PET? Indoor/Outdoor Chew-Resistant Bed fits your needs. 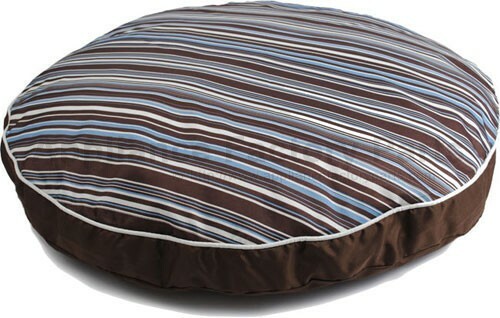 This 36 inch Round Gusseted Pet Bed features our durable Weather and Chew-Resistant fabric shell. Eye catching, with a custom printed top and solid piping to highlight the trim, this bed is filled with ECO-FIRST? recycled fiber fill for supreme comfort. Color: Brown Care Instructions Easy to care for removable cover is machine washable and dryer safe. We're adding new 876-WG36-00491.1 parts all the time, contact us for pricing and availability.